This budget-friendly, easy to fit green roof adds a stunning view during the spring and summer. The GrufeKit brown wildflower living roof is filled with instensive substrate and wild flower seeds. It consists of a mix of 20-30 varieties of wildflowers and meadow grasses. These are seasonal and the roof will lie fallow during Autumn and Winter. This GrufeTile is supplied with wildflower seeds that bloom in spring and summer to give you a stunning range of colours. In the autumn and winter, the plants will die down leaving the recycled growing media (soil!) on show. Carrier: Made from recycled HDPE plastic, the carrier acts as a water reservoir, drainage layer, protection from excessive drying of roots from the airspace below. They greatly improve product handing making it easier to install. No previous experience or specialist skills needed. Unless your roof has a parapet or upstand, we recommend you use a GrufeGuard. 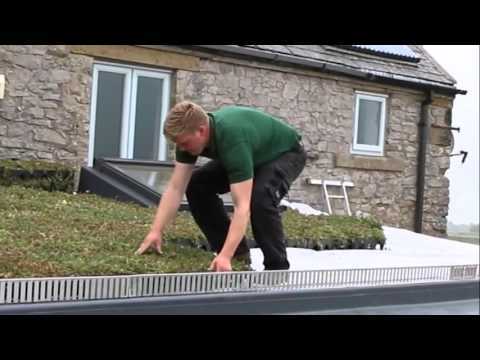 Laying your green roof is as easy as 1, 2, 3, 4! 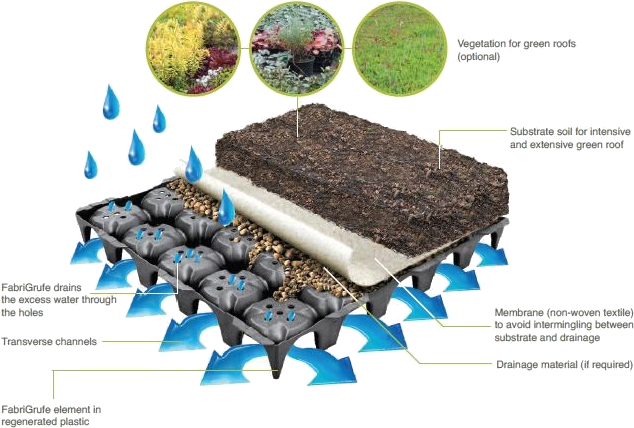 The green roof tile retains rainwater so no complicated irrigation system is needed. We can deliver the GrufeKit Wildflower Modular Roof Tile - 1m² (approx. 4 tiles) next day on our own vehicles, enter your postcode to see if you are in our servicable area.